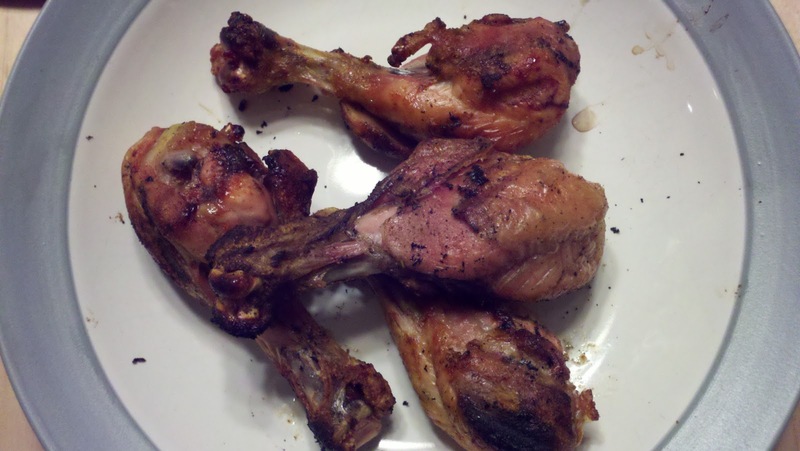 I made this chicken last night on the grill and my family loved it! Good healthy food should have lots of flavor. 8 - 12 chicken drumsticks with skin removed and pricked with fork (use paper towels and it will make the process easy). I divided the chicken up into the two Ziploc bags as my kids don't like super spicy food. In the other bag I sprinkled Bell's seasoning on the chicken with some salt and pepper. Set gas grill to a temperature of 350. Place chicken on grill, close lid and grill for 20minutes. After 20minutes turn chicken over and cook for another 20minutes. Serve with a salad, brown rice and enjoy!